Tune in for your monthly dose of faith, friendship, and fun as Heidi Lepper Barrett, Rachel Brown, Emily Schmid, and Molly Myers join Lisa Schmidt on Episode 11. Heidi ponders the spiritual importance of eye contact, and Emily shares how music can assist us in experiencing liturgy more fully. Rachel stops by with her pithy Drop by Drop wisdom, and Molly shares an October music playlist to accompany our fall days. Finally, Emily has a very special surprise for us. Tune in and hear the *world debut* of her original song Pour On Us based on the woman at the well (John 4:4-42). What a treat! 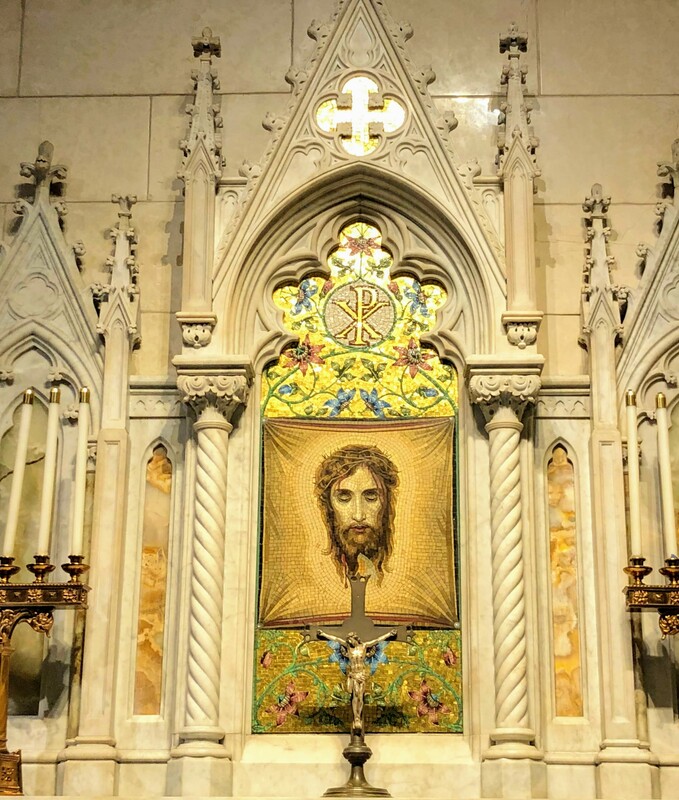 Here’s the image Lisa referenced from St. Patrick’s Cathedral. The power of eye contact … fix your eyes upon Jesus! This entry was posted in Podcast and tagged Emily Schmid, Heidi Lepper Barrett, John 4, Lisa Schmidt, Molly Myers, Podcast, Pour On Us, Rachel Brown, The Water Jar, Woman at the Well. Bookmark the permalink.